UV recording takes place via either reflected UV photography, or UV fluorescence photography. Reflected UV photography involves the direct illumination of subjects by UV sources, such as the sun. UV fluorescence technology involves the removal of visible light by filtering the light source. This 'exciter' filter should be used in conjunction with another UV-pass camera filter, and recording must be done in very dark environment. UV cameras are universally CCD cameras, and are only restricted in their resolution by the limitations of the CCD. Therefore, resolutions range from low-definition 640 x 480 to extreme definition 2048 x 2048. Typical broadcast frame rate is about 30 fps, but the unique applications of UV cameras dictate frame rates from 15 to 200 fps. Normal exposure speeds are usually effective for typical UV recording. However, using normal lenses, a UV-pass filter, and a very long exposure time, a typically CCD will detect some UV radiation. If the operator can clear the electronic noise, a reasonable but contaminated UV image will be recorded. Since the human iris does not dilate to guard against UV overexposure, UV camera operators should keep exposure times very small when recording in UV fluorescent situations. For UV cameras, this is the ability of the image sensor to record UV light. CCD cameras are sufficiently sensitive to UV radiation, while CMOS cameras tend to be inadequate in their ability to record UV. UV cameras record video in scientific and industrial applications, and their recordings are typically relayed to programs or monitors explicitly designed to display complementary modes of video capture. Interface feed from UV cameras by Camera Link, GigE Vision, analog wiring, USB or mini USB, and FireWire is common. Permanent UV camera placement in laboratory and industrial settings usually sturdy, utilitarian mounts. Certain applications may require vibration resistance and protective features. UV cameras may find temporary deployment with handheld and tripod models available. Their unique flexibility in machine vision, microscopy, inspection, and imaging results n a need for many options of camera positioning. Cooled Sensor: Sensors are actively cooled by a Peltier element or other method. Cooling reduces "dark current" noise and improves sensitivity. 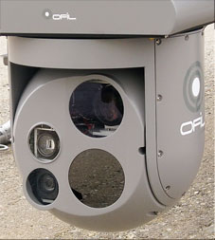 Many UV cameras utilize a cooled CCD design. Progressive Scan: This is a CCD design that allows acquisition of both even and odd fields at the same time. Nearly every UV camera utilizes progressive scan. Each pixel contains information from one complete frame. This technology allows high resolution without the use of a mechanical shutter. Progressive scan cameras are used for image acquisition of rapidly moving objects and accurate dimensional measurements. UV cameras are used for machine vision, high-resolution video microscopy, corona detection, semiconductor inspection, and nondestructive testing. They also find work in astronomy, UV spectroscopy, food processing, mining, fire detection, and sterilization. Interestingly, some animals exhibit innate UV capabilities; bees, for example, detect pollen in flowers with unique UV sensitivity.